The concept of a fully ‘connected home’ has been discussed for more than 20 years. However, widespread proliferation has taken far longer than anyone could have originally imagined. For a long time, deployment activity seemed to be limited to a relatively small number of high value installations. These installations were generally complicated to implement and their operation was not very user-friendly. Most importantly, they were composed of an amalgamation of isolated subsystems from different suppliers rather than a single universal system. Even as home automation started to become accessible from smartphones and tablets, market fragmentation meant that each aspect of the automation technology installed within a home was still based on its own proprietary mechanism that needed a separate app to control it. As a result, home automation systems have often proven inconvenient and frustrating for those operating them and has unquestionably held back their adoption by consumers. The industry fragmentation and lack of interoperability between different vendor ecosystems meant that the consumer couldn’t really take advantage of the connected capabilities of all the various platforms. The industry is innovating with solutions that seem finally likely to help broaden the appeal of home automation and accelerate its future progression. Through its HomeKit™ technology, Apple is looking to consolidate all the various verticals under a single, comprehensive home automation ecosystem that works together easily and securely. The HomeKit Accessory Protocol (HAP) is enabling hardware from different suppliers involved in home automation to communicate with Apple products (iPhone, iPad, Apple Watch) via a single, consistent, complete platform. This is done via wireless technologies like Bluetooth® Low Energy technology, as well as IP connectivity. The list of different ‘behaviors’ covered by the HomeKit hardware and software technology is extensive. Selecting a playlist for the audio system, turning on the lights in a particular room, remotely starting up home appliances (such as a washer/dryer), adjusting the heating and cooling, and activating the door entry system are just a few examples. But, because all of these functions are controlled via the Apple Home app or by asking Siri (rather than multiple apps), they can now work in tandem. For instance, settings can be configured so that if the curtains in a room were drawn, then the lighting would simultaneously turn on, or the ambient lighting could be changed to fit a certain music playlist. Marvell is placing itself at the forefront of next generation smart home development through its support of Apple HomeKit. Our family of wireless SoC devices was the first in the industry to secure certification for the original HAP specification three years ago and has consistently been at the forefront as evidenced with our latest HomeKit Accessory Protocol Release 9 (HAP R9) specification. The low power 88MW30x ICs each possess an integrated microcontroller with Cortex®-M4 processing core, plus single-band IEEE 802.11n Wi-Fi® functionality. The truly transformational change this time is our SoCs’ certification for iCloud implementation, which enables remote control of HomeKit compliant devices using voice as well as the HomeKit App using iCloud® remote access. This means that OEMs serving the home automation market will be able to make their systems much more streamlined and convenient to seamlessly implement through iCloud. As a result, new use cases are now possible. For example, you can remotely start your thermostat to heat or cool your home using the Apple Home app (or Siri® voice control) while you are still on your way home from work and have the right temperature set for when you arrive. This technology is showcased in the Marvell® EZ-Connect® HAP software development kit (SDK), which is designed to facilitate the implementation of HomeKit-enabled home automation accessories – accelerating our OEM customers’ design cycles and allowing products to be brought to market more quickly. Complementing its 802.11n wireless connectivity, the incorporated bridging functionality also allows interfacing with equipment using other RF protocols like Bluetooth low energy technology. 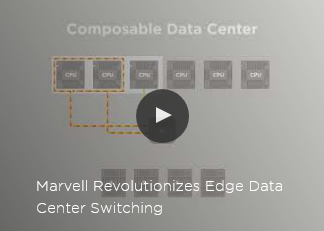 For example, Marvell has partnered with a leading Bluetooth low energy vendor to offer a combo module reference design that is commercially available today through one of our module vendor partners, Azurewave. Our emphasis on security, encryption and memory partitioning allows secure, over-the-air firmware upgrades so that customer applications can run securely from external Flash memory while being encrypted on the fly. Our SDK also supports Amazon’s popular AWS cloud platform and Google’s Weave/Cloud as alternatives. To accompany the SDK, Marvell intends to provide OEMs with all the collateral necessary to get their products through the HomeKit certification process as rapidly and painlessly as possible and into the market quickly. Useful project examples are also provided. Marvell understands how crucially important a robust software solution is to enable a hassle free home automation user experience and has developed industry leading software capabilities in support of Apple HomeKit. This has allowed us to get ahead of the game.